It is well known that Nokia truly is a patent giant in the tech industry, but the real scope of Nokia’s R&D investments is still unknown. 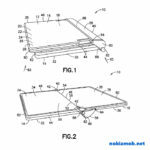 This week, Nokia was granted a patent filed 5 years ago for a device form factor that was commercialized and won numerous awards this year. 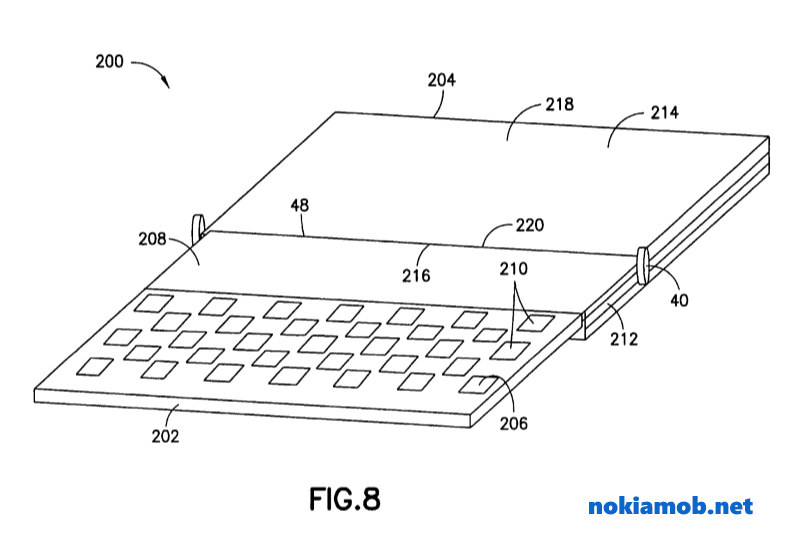 The patents official name is “Overlapping displays”. The patent was filed in 2011, with a prior publication date in 2013. The patent was granted November 29, 2016. 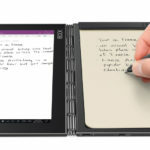 The drawings look similar to Lenovo’s hit product the Yoga Book. Lenovo Yoga Book won numerous awards for its design. The “double-screen” Yoga Book truly looks amazing, and it is even more amazing that Nokia thought about a similar device/form factor in 2011. All in all, maybe a future HMD Nokia-branded tablet will use this technology, after all, HMD will have the access to Nokia’s inventions. An apparatus comprising: first engine block comprising first circuitry; a first electrical display, where the first engine block is located against a first side of the first electrical display; a second engine block comprising second circuitry; and a second electrical display movably connected at a proximal end thereof at a single joint of rotation to a proximal end of the first electrical display between a first configuration and a second configuration, where the second engine block is located against a first side of the second electrical display, the first configuration being a fully closed configuration with the first and second electrical displays facing each other, where in the second configuration the first and second electrical displays do not generally face each other and are viewable from a same direction, and where the first and second electrical displays are sized and shaped such that in the first configuration a portion of a distal end of the second electrical display is visible to a user, where the first electrical display comprises a first display active area covered by a first window, where the first window is located against a second side of the first electrical display which is opposite the first side of the first electrical display, where the second electrical display comprises a second display active area only partially covered by a second window such that a portion of the second display active area is not covered by the second window, where the second window is located against a second side of the second electrical display which is opposite the first side of the second electrical display, and where the windows are located directly opposite each other in the first configuration, and where the first and second engine blocks prevent the first and second electrical displays from being viewed through the first and second engine blocks.